We’ve been crowned Bentley Bodyshop of the Year. 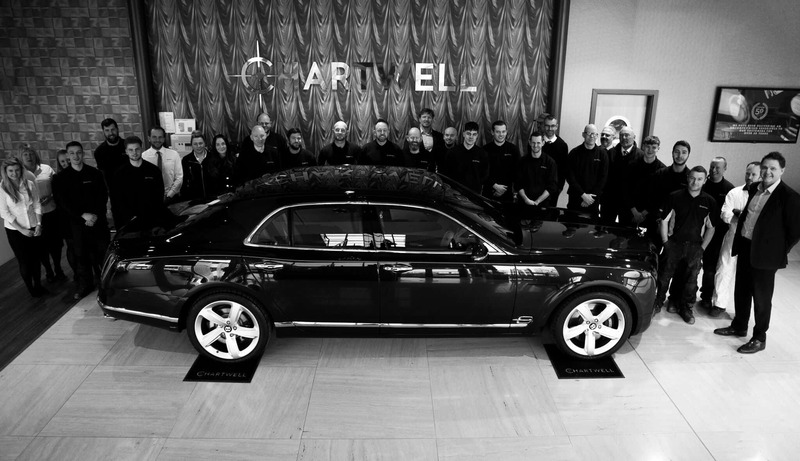 The prestigious award is recognition of Chartwell’s outstanding achievement in fulfilling Bentley’s exacting standards in vehicle repair and customer care. To gain Bentley approval is an achievement in itself and Chartwell was pitted against the crème de la crème in the approved network contest. The competition was judged on performance against hard objectives, adherence to audit requirements, submission of supporting data and feedback from Glasurit who have sponsored the competition. Chartwell has been a Bentley Approved Repairer for around 10 years and during that time they have developed a strong and close relationship with the prestigious brand. The bespoke training and development we receive from Bentley has helped develop all aspects of the business raising the standard of everything we do. “Bentley is an iconic brand which we love,” said Chris Brightmore, CEO, Chartwell. “We are thrilled and extremely proud to be selected as the Bentley Bodyshop of the Year. We would like to thank Bentley for this prestigious award and I would also like to congratulate the talented team here who always offer the highest standards of repairs because of their attention to critical details in manufacturer standards,” said Chris Brightmore, CEO, Chartwell. Chartwell was one of the first bodyshops to specialise in luxury and supercar vehicle repair and has the largest independent aluminium and carbon fibre repair facility in the UK. Equipment and tooling is top of the range in the stunning looking 33,000 sq ft bodyshop and it has also invested in a specialist Vehicle Accident Damage Appraisal (VADA) facility equipped with diagnostic and vehicle assessment technology to ensure the safety and highest standards of repair.